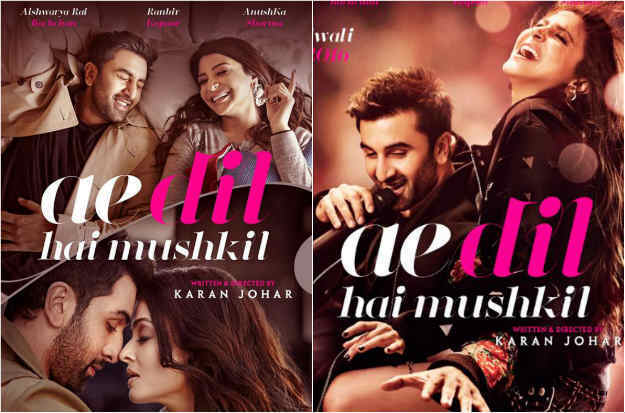 The ride has been 'mushkil' for 'Ae Dil Hai Mushkil' so far and now clouds of uncertainty loom large over the film. There has been a lot of public as well as political outrage against the film, because the Karan Johar directorial also stars the Pakistani actor – Fawad Khan. Post the horrendous Uri Attacks carried out by Pak-sponsored terror group – JeM, the environment in India has changed drastically. But, speaking of the Karan Johar directorial, it seems that we may be treated to a high quality and mature romance drama. The trailer of the film had a great element of intrigue and made us feel that we are in for an ethereal cinematic experience. Even otherwise, right from the day of its announcement, this movie has been touted as the next big game changer in Bollywood; the unusual star-cast of Ranbir Kapoor, Aishwarya Rai Bachchan and Anuskha Sharma has been able to generate a lot of interest and speculation amongst the masses. But, what do the heavens indicate about the film's overall fate and fortunes? Will it go on to become a spectacular blockbuster or will the controversies eclipse its luck? Get the answers from Ganesha. The Gaja Kesari Yoga in the House of Gains – the 11th House, indicates very good business prospects. Ganesha notes that ADHM will be releasing with the placement of Venus and Saturn in the Ascendant. Rahu is placed in the 10th House of success, while the Lord of the 10th House – the Sun is placed in the 12th House (distant places, foreign lands), in conjunction with the Lord of the 8th House (uncertainty and sudden gains) and 11th House (gains) – Mercury. Lord of the 2nd House (finances) and 5th House (performances) – Jupiter is placed in the 11th House (gains) along with the Lord of the 9th House (fortune) – the Moon, which forms the Gaja Kesari Yoga. The Ranbir-Aishwarya-Anushka starrer may enjoy a better response from week 2 onwards. These factors indicate that ADHM may not witness a phenomenal opening, and that greater success may come the movie's way from around day three. Week two may be comparatively better for the movie's overall business prospects. Moreover, the stars also indicate that the movie may not receive a very good response from the single screen theaters between day two and day 7. ADHM may not emerge as a mass entertainer, but with select audiences, it will enjoy a very strong connect. As Jupiter and Moon are conjunct in the 11th House of gains and are forming the highly favourable Gaja Kesari Yoga, ADHM is most likely to earn well. Earning moolah by the crore may not be difficult for the film. But, talking about the performances, Ganesha says that the placement of Venus in conjunction with Saturn in the Ascendant itself indicates highly mature and nuanced performances by the actors, which will be admired by the audiences. Jupiter – which happens to be the Lord of the 5th House of performances, is well-placed in the 11th House, which indicates that the actors of the film may be nominated for some awards next year. Are you facing some complications in your love life? Have things been going wrong between you and your partner? Then, it's time you take some action and repair your bond. Order the personalised report - Remedial Solutions For Love. Some controversies are foreseen for the film, even post the release. Apart from the performances by the lead cast, the other areas to look out for would be the direction, cinematography, music and costumes. Ganesha gives the second spot to the screenplay, while the third position goes to the dialogues. It is not that the dialogues will lack the punch, but there may be a lack of consistency in the intensity of the actors. Moreover, the movie is most likely to do well overseas. Along with quick gains, good business and considerably high success is foreseen for the movie from overseas territories. Ganesha feels that as the Lord of the 10th House and 11th House are placed in the 12th House, the film will do very well abroad. 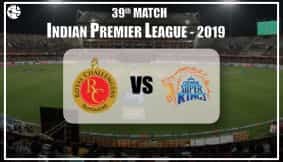 There will be quick gains from day one itself and this may eventually compensate for the upsets the film may face due to unsatisfactory performance in smaller pockets.